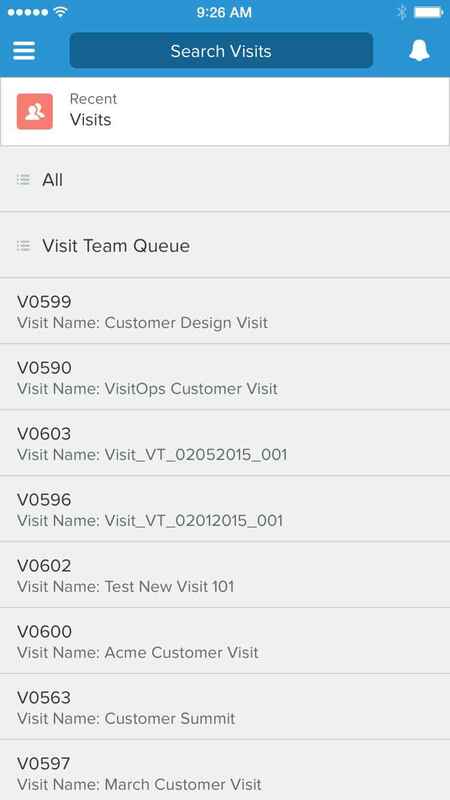 Run and measure your entire visit or briefing program with one app. 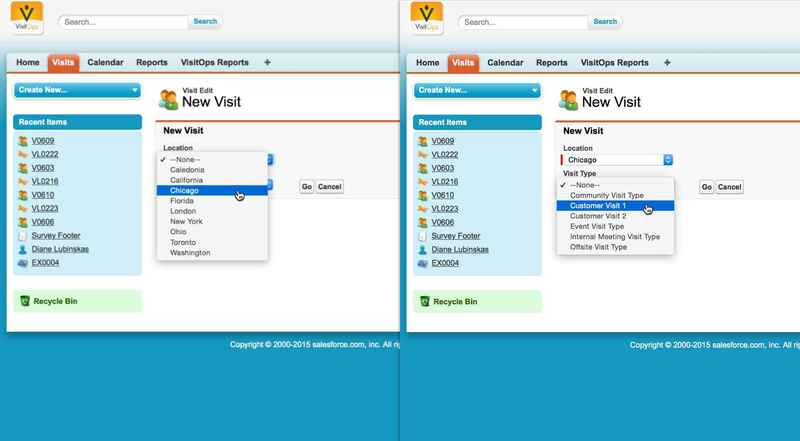 VisitOps lets you create visits, build agendas, invite presenters, send surveys, and run reports. All on the Salesforce platform. 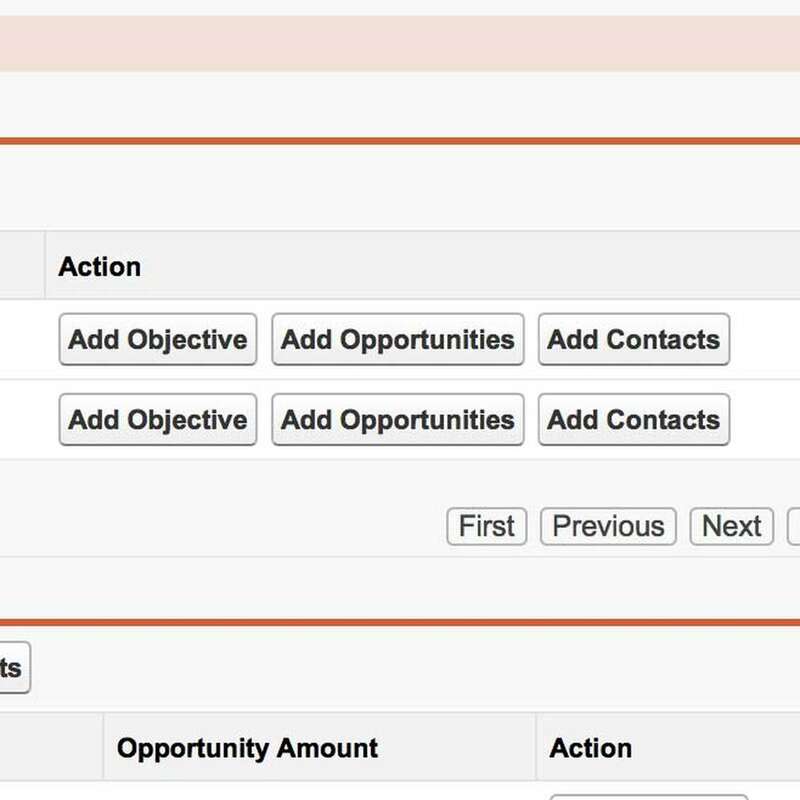 VisitOps lets you manage your visits and briefings within Salesforce, so you can keep track of dates, details, and who is working on what all in one place. 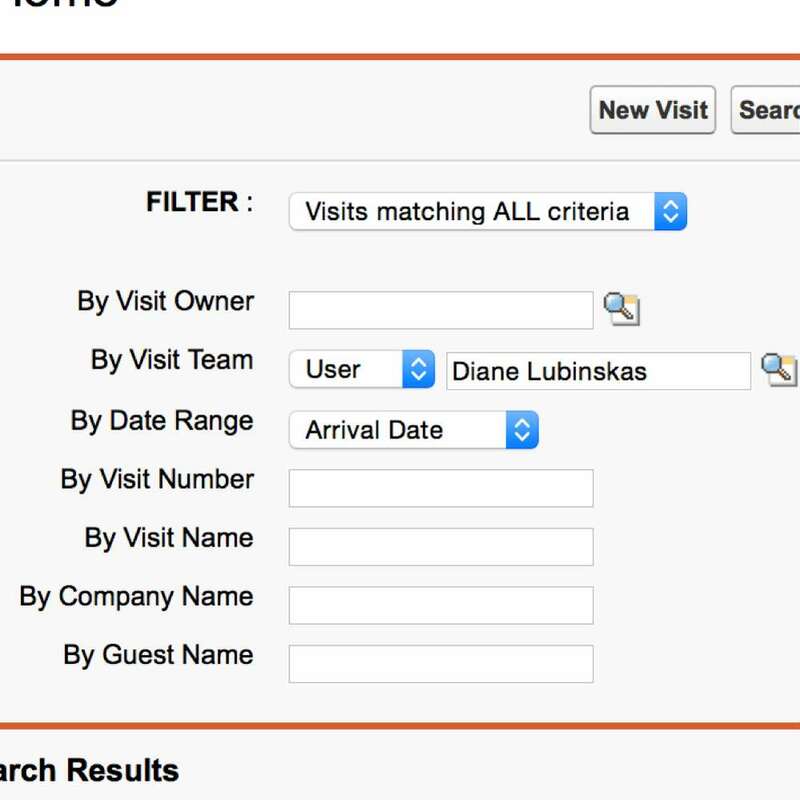 See the status of upcoming visits at a glance, or use robust search and filters to quickly look up a customer's visit history. VisitOps makes it easy to request and plan a visit, eliminating the need to re-enter data. 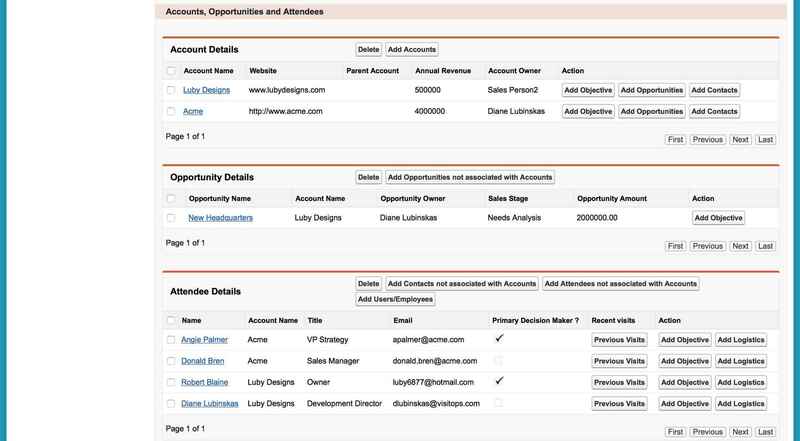 Simply look up and link your Salesforce accounts, opportunities, and contacts to a visit record. You'll get immediate access to in-depth Salesforce information for visit teams, presenters, and executives. 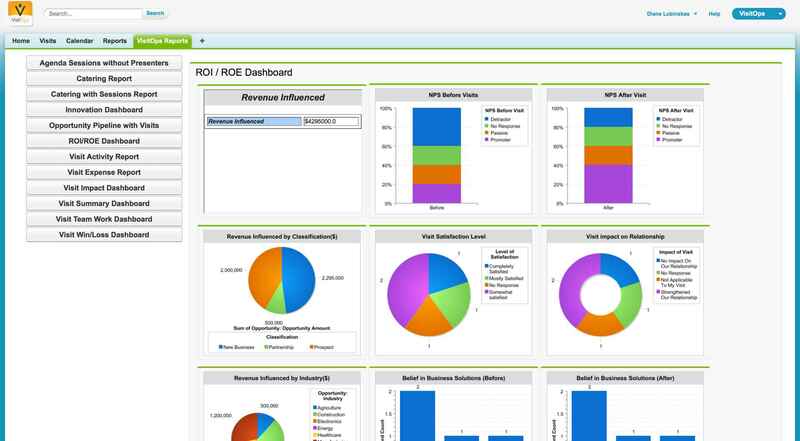 VisitOps unlocks the elusive ROI metrics you've always wanted. 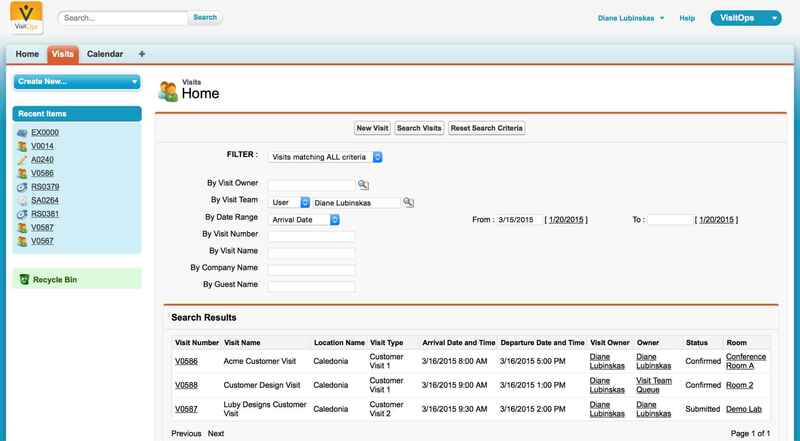 By linking visits with opportunities in Salesforce, VisitOps provides new insight into the customer journey. 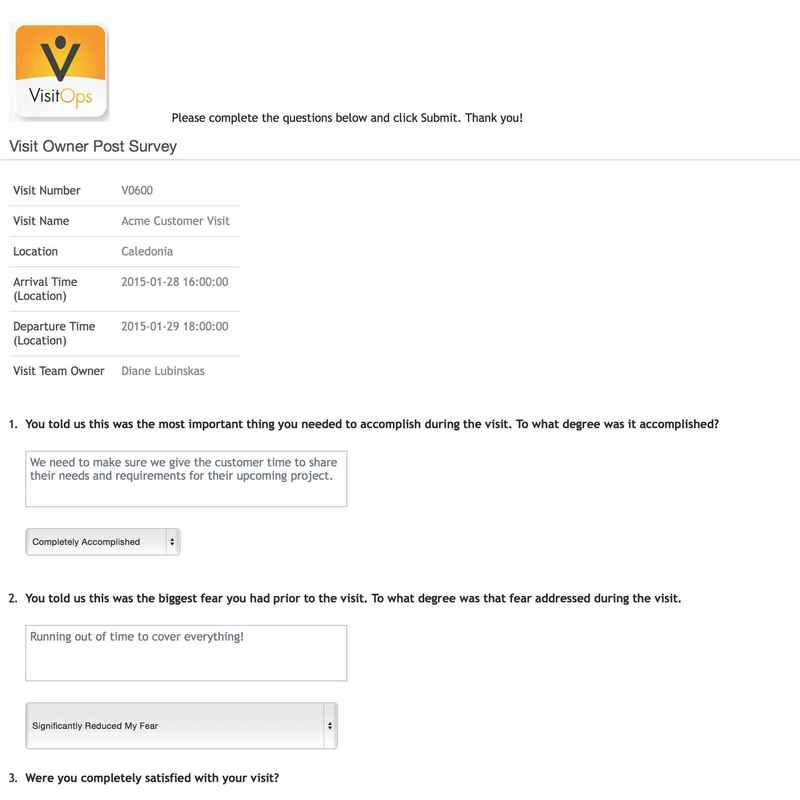 From sales to staffing, college recruitment, and more, VisitOps lets you measure how visits impact company goals. 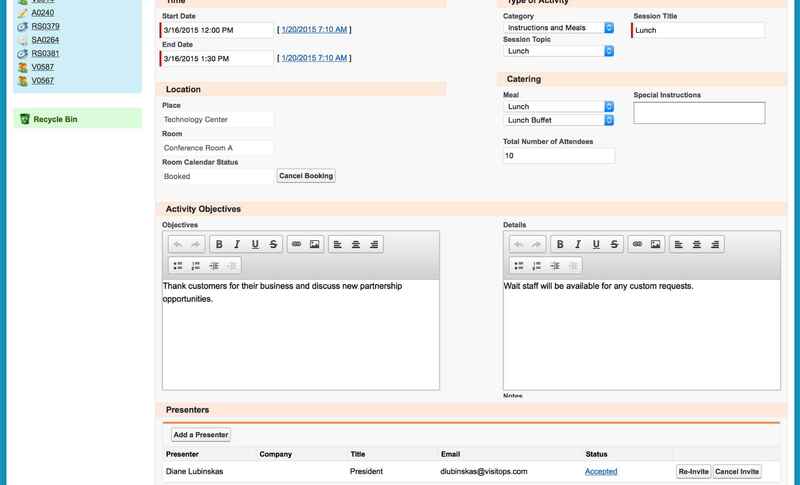 VisitOps helps you streamline your visit team's processes. 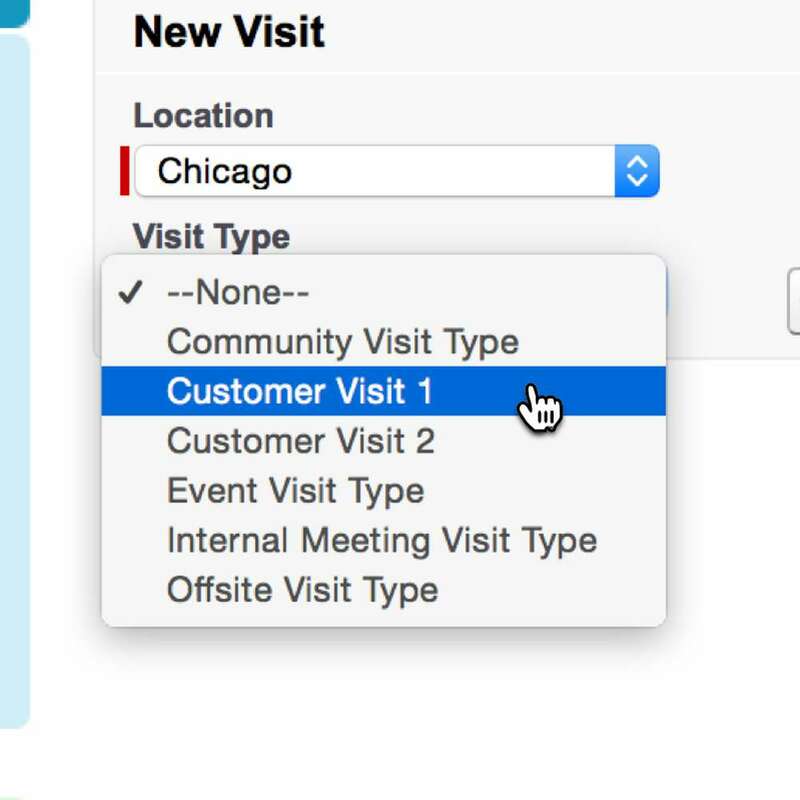 Use VisitOps to create unique workflows for each type of visit you offer for each location. 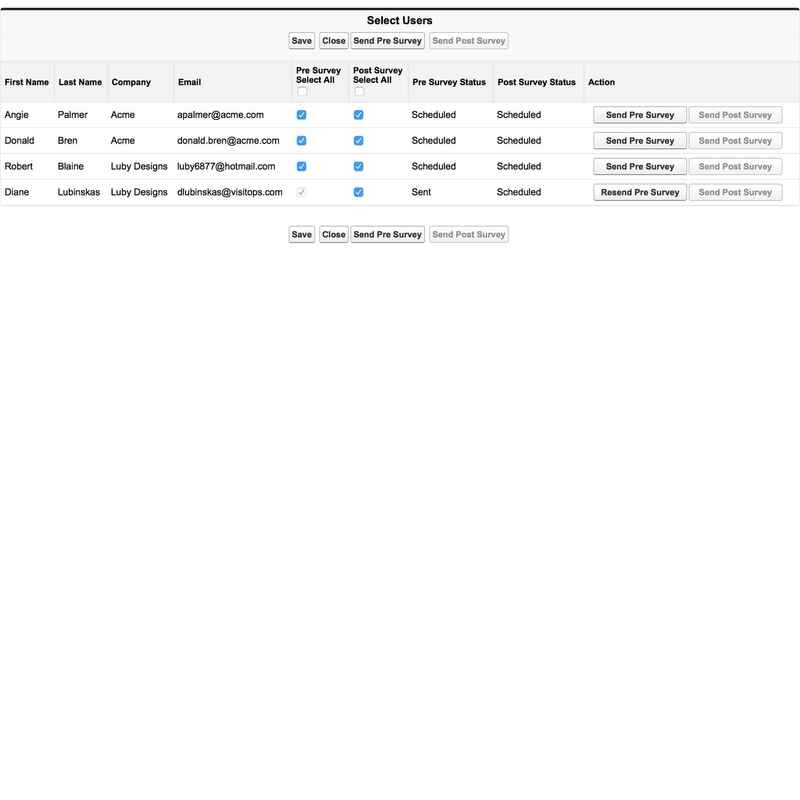 Or configure the app to automate repetitive tasks so you can focus on what matters most to your team. 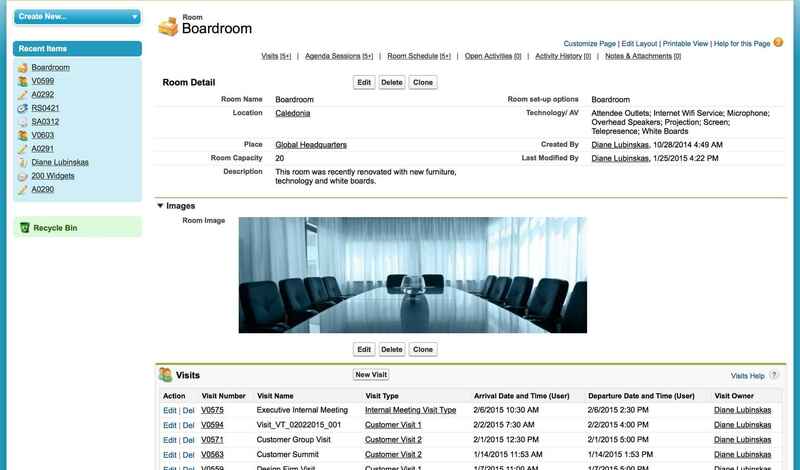 Built on the powerful Salesforce1 Platform, the VisitOps app works on all your devices. Use your mobile device to manage and approve visits, view calendars and agendas, change statuses, send surveys, and more. Use VisitOps color-coded calendar feature to easily find and book available rooms for visits. 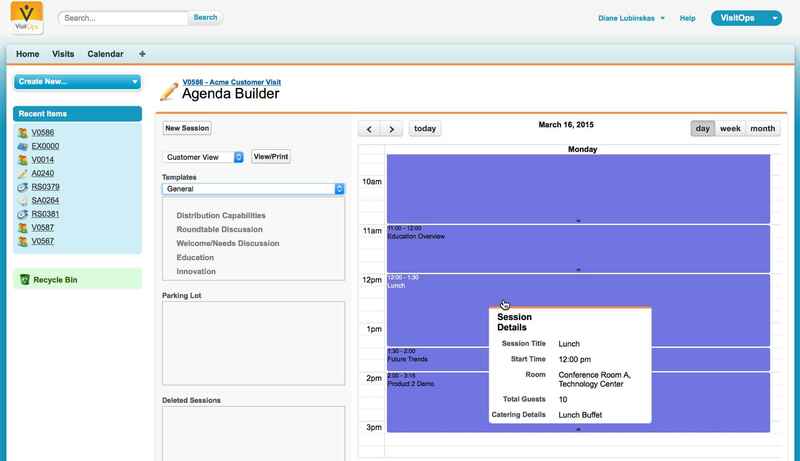 You can overlay agenda sessions from VisitOps' Agenda Builder to see when customers will be in the room. 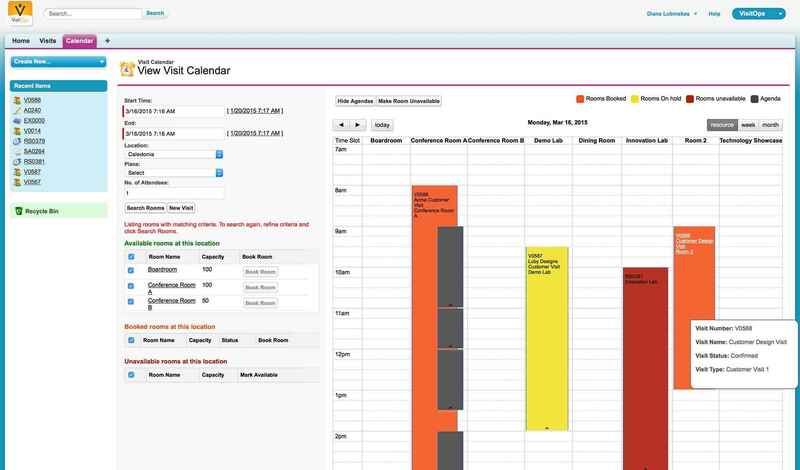 Quickly build custom agendas with the robust VisitOps Agenda Builder. 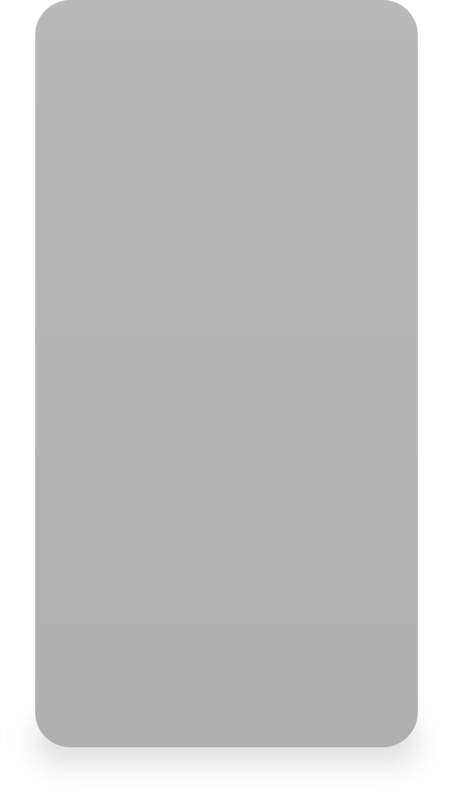 Drag and drop agenda sessions on a timeline and add details to book rooms, order catering, invite presenters, and track responses. 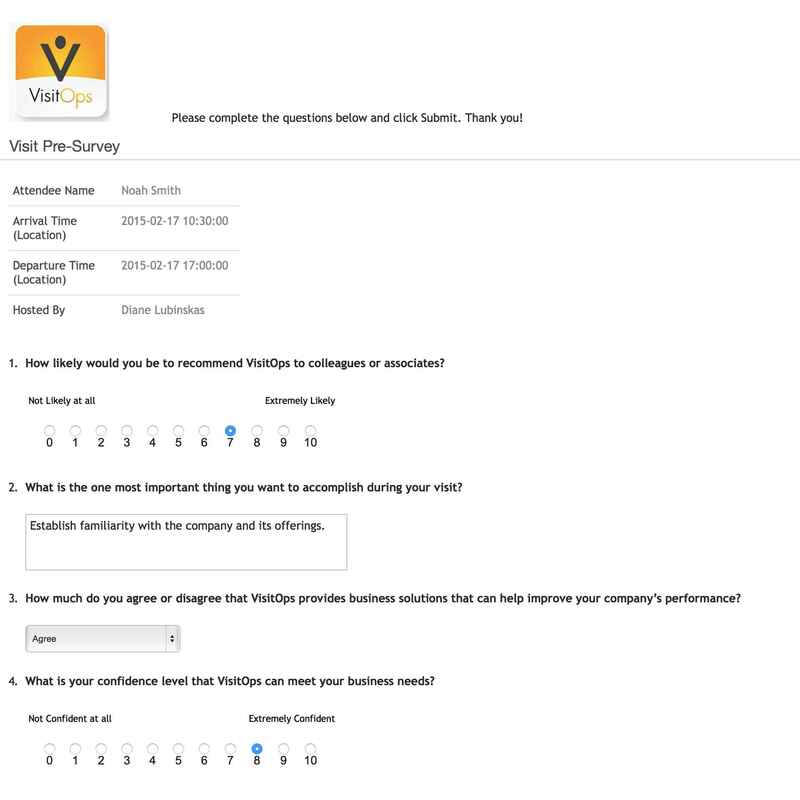 Create and send pre-visit, post-visit, and decision surveys to customers right from the VisitOps app on Salesforce. 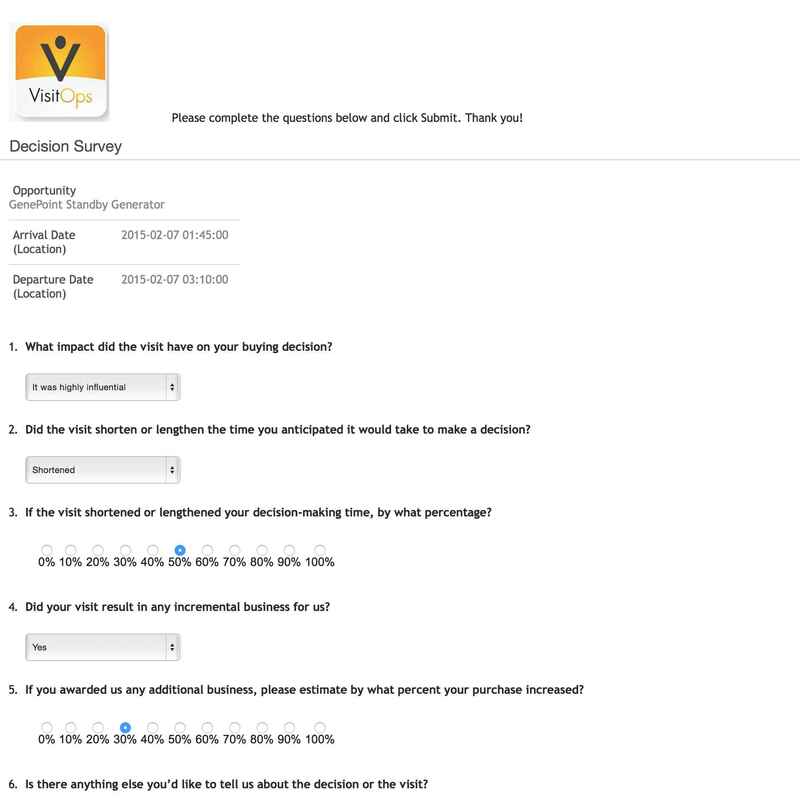 You can also send surveys to presenters and visit owners. 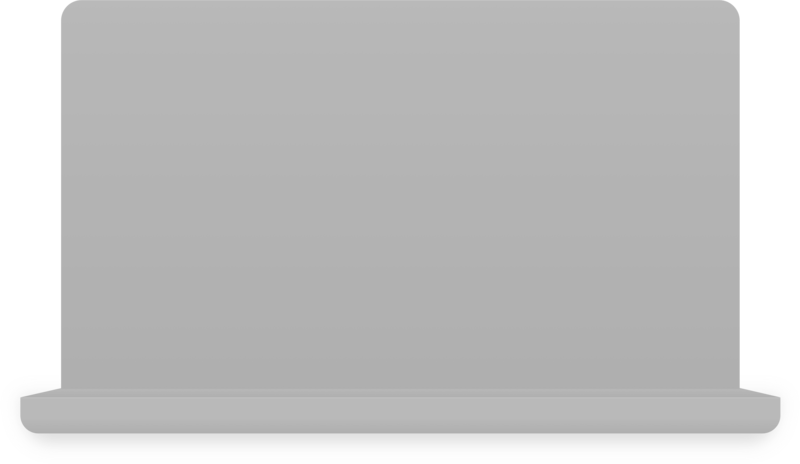 Responses are automatically added to contact records for easy tracking and reference. The VisitOps app empowers you and your visit team to design the process of your dreams. You no longer have to squeeze your process into a one-size-fits-all piece of software. From workflows and templates to task automation, VisitOps gives you the tools you need to bring your best ideas to life. If you'd like help evaluating your visit process or applying industry best practices, our team can help. At VisitOps, we've spent more than 30 years designing and optimizing visit processes for companies large and small. We use a 3-step approach—discover, design, and deliver—to help you make your dreams a reality. During the Discover phase, we listen to your dreams, ideas, and needs. We'll look at what's working well and where you may be able to save time through automation, improved workflows, and resource optimization. Then, we use what we learned to Design a simplified process that supports your needs. Finally, we Deliver that process by helping you put it into practice. Whether that means working with your visit team, IT personnel, suppliers, stakeholders, or others who touch your program, we'll be there wherever you need us. From comprehensive program evaluations to targeted optimization in specific areas, our team is ready to help. We look forward to walking you through a demo of the VisitOps app and answering any questions you may have about products, services, or pricing.